“At the same time, the standards allow CCPs to tailor their risk management models. This paper considers how CCPs can optimally determine the relative mix of initial margin and default fund contributions in a stylised setting, by balancing the costs of default resources with the expected losses they protect against,” . Where members are of good credit quality and the probability of experiencing losses is low, the loss-mutualising properties of the default fund are favoured over the defaulter-pays properties of initial margin. Significant tail risks in the markets cleared by the CCP further favour the use of the default fund as a cost-effective insurance against potentially large losses. By contrast, when members are more likely to default or extreme losses are unlikely, the CCP has incentives to maximise the defaulter-pays collateral it takes, and the benefits of the loss-mutualising default fund are reduced, it added. The results also show that changes in collateral costs and capital requirements can have a significant impact on a CCP’s optimal risk management choices. 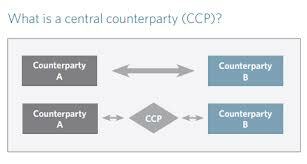 Paper 20, titled: “Central counterparty loss-allocation rules”, states that the insolvency of a CCP could be highly disruptive to the financial system if losses fall on participants in an uncertain and disorderly manner. In contrast to most other financial firms, CCPs’ obligations to their members, and vice versa, are governed by a central rulebook. These could have the advantages, relative to the counterfactual of the disorderly insolvency of the CCP, of offering transparency and predictability to participants; providing for a quick and orderly allocation of losses; and potentially allowing the CCP to continue to provide critical services to the market, added the paper. Thankks so much and I am looing ahead to touch you.